So I have been friends with Shelton Drum for many years. Over the years I have seen his Heroescon grow into one of the biggest and best comic conventions in the country. Five years ago at heroescon I met someone who has changed my life...for the better. He is Richard Thompson. From the first time we met until this very moment our friendship and admiration has grown for each other. Richard gave us one of the best comic strips ever, Cul de Sac and I became one of his biggest fanboys. Four years ago Richard found out He had Parkinsons. He has tackled it like he does with everything else, a laugh and missing the deadline as long as he could with Parkinsons. We might not haveCul de Sac to laugh to everyday but we do have something else to turn our attention to. That is finding a cure for Parkinsons. 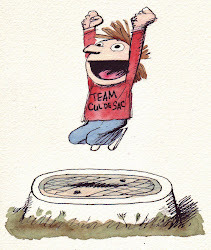 In 2010 Richard and i started Team Cul de Sac. We asked artists to donate art using Richards characters and we auctioned the art off and even had a nice coffee table book made. We might not have a cure yet but we have raised some make dough for the Michael J Fox Foundation.Most of the almost 110k was made last year and we hope to add to that total this year. This is where Heroescon has stepped in. For the last two years we have had a drink and draw for a few hours on Friday night after the con. Each year we have raised around 1400 bucks for our efforts. Well this year Heroescon wanted to step that up a drop. With the wonderful help of Heather, Seth, Rico and the main man Shelton Drum we are having a big party this year. ( more details will be added very soon about the time and place) I do know it is Friday night after the show. Heather and Seth asked me to help them round up some folks to donate art. So I have. A signed hard cover of Maus with a sketch in the book by the legend himself Art Spiegelman! Bill Watterson to sign some copies of Team Cul de Sac for us to Auction off this year. He did and then to help out that little bit more. Bill has signed some Complete Calvin and Hobbes softcovers for us. 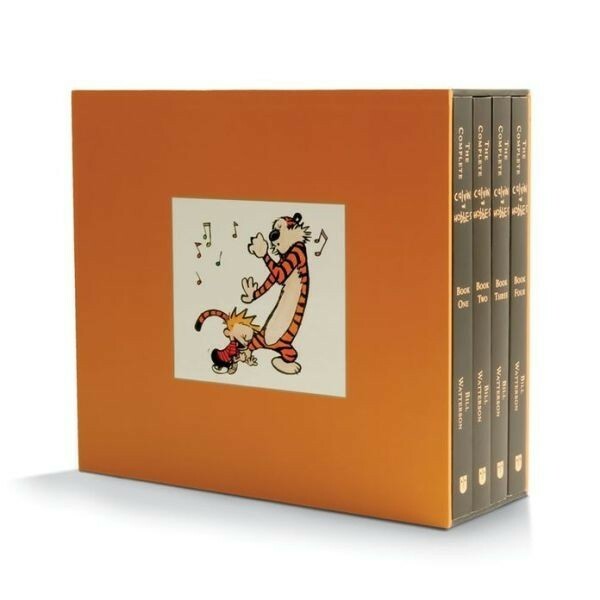 We will be auctioning off one of the TCDS books and one of the Complete Calvin and Hobbes off at Heroescon. This is one of the rarest cartooning signatures EVER!!!!!!! But there is more!!! Now for the art! Ron Ferdinad sent us this Dennis the Menace! Terri Liberson sent us an original Pajama Diaries original! A Zits sketch by Jim Borgman!!! We have a sketch from Lincoln Peirce of Big Nate fame! A Sketch from Dan Piraro! A sketch from Brian Bassett of Red and Rover fame! A sketch from Bill Holbrock of Kevin and Kell fame! Young Childrens book legend Mo Willems gave us a Pigeon sketch! John Hambrock gave us a cool the brilliant mind of edison lee sketch! Plus we have all of the amazing art up for grabs at the Drink and Draw!!! yeah and you can donate using this link below! A big thanks to everyone at Heroescon helping us out! Hi everyone, Chris Sparks here with some cool news! 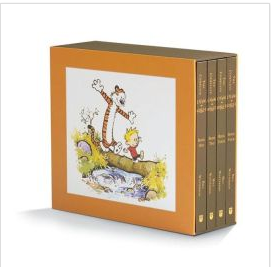 Bill Watterson will be signing 5 Team Cul de Sac books and 5 Complete Calvin and Hobbes softcovers for Team Cul de Sac to sell to help raise money for the Michael J Fox Foundation. One of each will be sold/auctioned at Heroescon this year. More news with details soon. Thank you to Bill Watterson in helping us out! T/Y to Shelton Drum,Seth Peagler,Heather Mobley Peagler,Rico Renzi and everybody at http://www.heroesonline.com/ for their support. We will also have a copy of each book at Baltimore Comic-Con to sell. Thank you Mark Nathan and Bradford Tree for all of their support at the Baltimorecon.